Wow – Bro Trevor sure knows how to tell it like it is doesn’t he? I wanted to make my reply to his last post as its own post, as what he shared with us really struck home with some things I’ve been thinking on as well. While some of you may get hurt or offended or take what Bro Trevor is saying as legalistic; I think any of you who do this are missing the main point. Back in the 50’s and 60’s Bro Branham blasted music live Elvis, and the Beatles, and TV shows like I Love Lucy, and movies where it was “almost public adultery”. Many ‘Message Believers’ today won’t watch those shows he spoke about directly, or listen to the music that he blasted from the pulpit, but when it comes to ‘other music’ or ‘other movies’ today which are far worse when you really think about the content – but he didn’t name their actual names or movie titles, so they’re okay because they’re ‘not that bad’. How many times have I been guilty of this? Remember the Bible Study where there was the big discussion about people who won’t watch ‘The Alamo’ because Bro Branham (per a sister’s testimony) walked out of the theatre because there was one or two curse words – but the same people will sit and watch R rated movies with a multitude of cursing. Have we missed the point? How many movies have I bought and thrown away later because I felt condemned to have them in my home? How many CD’s have I done the same with? I’m sure many of you brothers and sisters have the same struggle. And we struggle NOT to make it legalism either because if that’s all it is we’re STILL missing the point. I was sick over the past two weeks and while I’ve been trying to cut down on the amount of movies I watch and especially what kind of content they have I was sitting around the house for days on end and had listened to tapes, read my Bible, prayed, work was slow… So I found myself watching some old holiday movies and wound up fighting a mental battle – “Am I not consecrated as much as I should be because I’m watching more movies than I have been because I’m sick – or am I being legalistic because I’m letting old ‘classic’ Christmas movies / etc make me question these things”. The conclusion I came to is – I’m not going to be legalistic about it, but I’m not going to let it creep in and take over my prayer life, or take over my Bible time, or tape time. And I’m not going to let the filth of the world (as Bro Trevor was talking about) continue to penetrate my home, my thoughts, and my time. I’ve been doing a lot of searching on ‘revival in our day’ over the last month or so, and I believe the Bride can still have a revival, but its going to take individuals who are ready to die out to themselves. I had a house cleaning when I first moved into our new home and threw out a lot of my old DVD’s and music that ‘weren’t that bad’. I want to keep our little home a place where the Holy Spirit could feel welcome. I feel like if I don’t love Him enough to sacrafice worldly entertainments that are going to keep me from getting closer to Him then I need to start over again somewhere. Bring back the new again. Send a revival. Start the work in me. What we need today is an old fashion God sent revival. Clean up the home. Clean up the heart. Get things ready. Start a revival in your home and it’ll begin at the church. Preacher don’t bring it in his briefcase; God sends it from heaven to the individuals. That’s true. But look at it today, all these movies and things, and one big conglomeration of kissing and hugging. And it’s absolutely almost public adultery everywhere, and the people so blind they don’t see it. Adam Sandler is hindering our personal revival. Nicholas Cage doesn’t help you get closer to Jesus nor does learning “how to lose a guy in 10 days.” Smallville isn’t helping matters either. Why? They are worldly. “God won’t come in where the world is; you can just depend on that.” Now I don’t think any of us can say that Adam Sandler is NOT worldly. 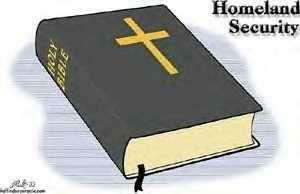 Do we want God in our home? He wont come in with Adam Sandler around. See there’s this enemy we have called the devil, and he’s got it in his mind to keep us away from our Love (Jesus). Satan is jealous of God. He wants our love. We don’t want to give it to him tho, we want to give our love to Jesus. We want to be near our Jesus, and we want Him to be near us. is the best thing I’ve ever done. P.S. This isn’t about being legalistic with regards to watching movies. Watch all the movies you want to watch if that’s what you love. I personally feel loving Jesus is the best thing I’ve ever done, and I plan on continuing to keep loving Him and forsaking the world. Israel was going to be scattered from their homeland, and almost utterly destroyed. Then they would return home, never again to be taken from the land God had given them. God was going to “sift them among all nations“, (vs9) and all the sinners of His people would “die by the sword” (vs10). But before “the house of Jacob” was utterly destroyed (vs8) He would “plant them on their land” and they would “no more be pulled up out of their land” which He gave them (vs15). So this chapter started my thought process; ‘All these prophecies are so plain – “a virgin shall conceive” and she did’. On and on we could go with prophecies that have obviously been fulfilled that were so plainly stated in the Scripture that we wonder why the people in each age couldn’t see it. Then I began to realize that prophetic hindsight is easy… But to be so in tune with the Spirit that you can see the spiritual aspect of what’s going on around you every day is what we miss. How I’ve often wondered so many times why those who were so closely associated with Bro Branham couldn’t recognize that he was a prophet-messenger. So many of them left him who had been associate ministers in his meetings, managers of his campaigns, and bossom friends who were right by his side during the miracles that the Lord did through his ministry, and those who saw vision after vision come to pass and never fail. Why couldn’t they see it? I’ve referred to the following quote many times in discussions with different brothers and sisters and I found it today while searching some quotes. Why do they do that? Why do they do that? They want a great awakening. They’re crying, believing that there will be awakened. They’re good people. Why is it? What have they done? They have not recognized the awakening of the Bride. See? By being a Christian they feel the pull of the hour, but they haven’t recognized what’s been done. That’s what’s making them feel that way. They know something’s supposed to happen; but (See? ), they are looking for it way off in the future to come, when it’s already happened right by you. God help us not to miss the prophecies for our day because we’re waiting for something to happen way off, or looking back to what has already taken place! May we recognize “the awakening of the Bride” is my prayer. And how many times down through the age when You sent things, people failed to get it. Man is constantly praising God for what He did, and saying what great things He’s going to do, but ignoring what’s He’s doing. So has it been through the age. Why did the Roman church fail to see Saint Patrick as God’s prophet? Why did they kill Joan of Arc when she was a–a prophetess, burnt her as a witch? Father, it’s always past. You hide it from the eyes of the wise and prudent. No wonder You said to them priests, “You garnish the tombs of the prophets, and you’re the one that put them in there.” After they’re gone they see their mistake. They always persecute You, Lord, in whatever form You come in. I just wanted to share this with you all since it really struck home to me this morning that we need to stay in the Word and ask God to never let us get so focused on prophetic hindsight or foresight that we miss what is promised for our day that is happening all around us. I have been contemplating recently on realizing that we are sons and daughters of God. I think if we were much more frequently aware of who we are, we would not act the way we act. I guess I shouldn’t wonder why people think I’m harsh sometimes. QUESTIONS.AND.ANSWERS_ JEFF.IN COD SUNDAY_ 61-1015M 671-134 Someone told me sometime ago about they’d seen that two or three times at my church here, of… Not here in the church, but people who come to the church. And if you’re setting here this morning, I’m going to dig this to you right good. See? Women, young women, coming up and these men kissing these women. Don’t you do that. Don’t you… You keep away from there. You remember that. If she’s young, single, or whatever she is; she’ll be somebody’s wife someday. And you haven’t got no business doing that. Stay away from her. If you want to greet her, then be a son of God, shake her hand and say, “How do you do, sister.” And let that settle it right there. See?Stay away from those things; it’s filth. And it’ll soon get you into trouble. You just… Oh, that’s just… Sin is so easy, and it’s so appetizing, and so pleasant. It’s so easy to fall right into it. The best thing to do is, the very even appearance of it, stay away from it. Get back. Be a real Christian. I think many of our actions would change if we truly realized who we were. I’ve heard many say “would you do such and such or say such and such if Jesus were in the room”. Let us wake up, if we believe we have the Holy Ghost in our lives, then if we are in the room, so is He. WISDOM.VERSUS.FAITH_ JEFF.IN V-3 N-17 SUNDAY_ 62-0401 64-5 Satan knowed It by knowledge. Jesus knowed It by experience; He knowed It by revelation. He knowed that He was that Son of God that was to come into the world. He knowed His standing; He knowed He was born in this world for that purpose; and that’s the reason the Word of God could work through Him, because He knowed what He was. Glory! (Have you caught it yet?) He knowed what He was! Satan, at the back of it, he knowed what he was; and he knowed he had no business with his wisdom on the Word, because the Word was God. You get it? In honor of Bro Nathan getting married next weekend, we took a road trip! 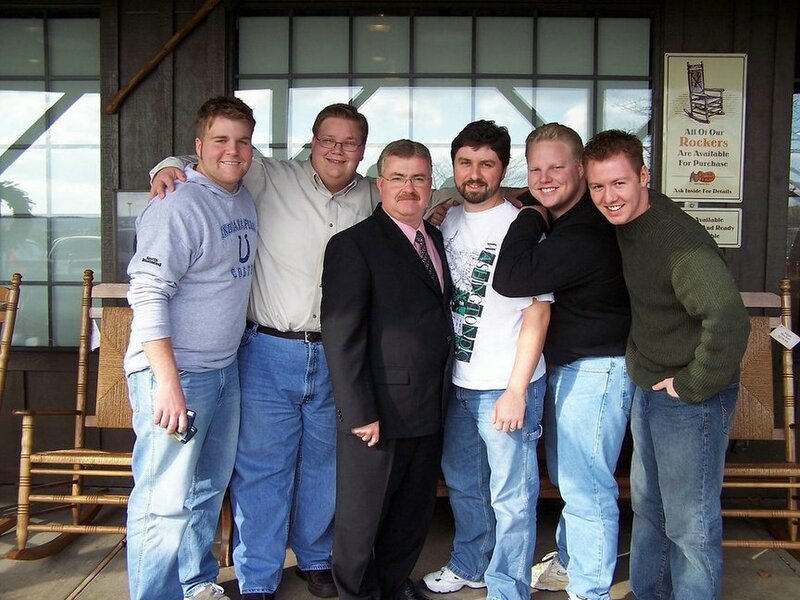 We have wanted to visit Bro Ron Spencer at his church for quite some time as we have attended many banquets and camps that he preached while we were young and single. Bro Ron preached an excellent service on Saturday night. Bro Ron was gracious enough to have lunch and fellowship with us for a couple hours before we left the following day. Here’s a picture of our group outside Cracker Barrel. When was the last time you were this desperate for a promise? Have you ‘prostrated yourself on a promise of God’ lately? Maybe you haven’t been able to go into an upper room for 10 days straight, but have you consistently and diligently applied yourself to obtaining a blessing from God? Remember the story of Jacob wrestling with an angel? He prevailed over the angel. I guess we can just get on our knees and say “God, I’d really like this promise to be fulfilled in me” and then we get up to watch our football game. God might do something for us…but I wonder if he knows our hearts enough to know that in that kind of attitude, we apparently don’t care for his promises that much. How much more so will God know the desire of our hearts if we ‘prostrate ourselves’ before him in such a way as to ‘wrestle with an angel’. Has it become so common to us that none of us is desperate enough to ‘prostrate’ or ‘wrestle’ in prayer? Do we intone our desires and wants to God in such a formal manner that God knowing our hearts knows we are just going through motions? This fills our Lord with pride I’m sure. I’m sure he’s overcome with the power of our emotion and love toward him. The same way your wife probably is when you say the same thing to her. “God, I’m just so tired, I’ll pray in the morning.” “God, I woke up to late..I have to get to work, I’ll pray tonight, but Lord, I really want the Holy Ghost, I really want to be like you”. Do our days and nights sound like this? I’m sure God is trying to figure out if we love slumber or Him more? Have we forgotten that He is a jealous God? This isn’t something that should be feared so much…it just means GOD WANTS US TO LOVE HIM! We’ve all done it. God is so much more lenient after all right? “God, I know you can wait till next week on the tithe check, you don’t charge late fees after all…and company X does” I’m guilty on this one. Perhaps God is tired of taking the backseat in our lives. Perhaps he’s tired of being told sleep is more important, or the game is, or company X’s late fees. Are we really in love with Him like we say we are? Do we REALLY want to be like Him? I believe our prayer life should reflect this. It isn’t about how long of a prayer. It isn’t about what you say necessarily. It’s about showing your love to God. It’s about your heart desiring God. The Bible doesn’t tell us what the apostles said in their prayer. It does tell us that they stayed until. That they desired the promise so much, that everything else took the back burner. They showed God he wasn’t in the backseat this time. It was a desire in their hearts that produced action. If you desire God so much in your life, you’ll come to the place that you’ll ‘prostrate’ before him, or like Jacob you’ll ‘wrestle’ and God will have first place before EVERYTHING else. Then maybe, as Bro Branham said of those disciples “Then the God of heaven came and dwelt in those men” could be said of you. P.S. To those who, after reading this, now think I am against football, sleep, or paying bills on time…you totally missed what I was saying. Quit being a legalist and fall in love with Jesus.